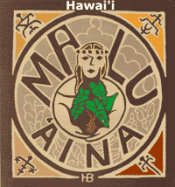 Malu 'Aina » Blog Archive » Reduce the Divides –Live Aloha! Reduce the Divides –Live Aloha! Published by jalbertini on December 30th, 2015 in Climate Change, Hawaii Independence, Military, Public Events, Radiation, Sacred Mauna Kea, Social Justice, Take Action!, Uncategorized, Vigil leaflets. Throughout the U.S. the call that “Black Lives Matter” seems to be falling on deaf ears. Nearly every day brings new horrors of police violence which add to the climate of fear and hatred. Hostility to immigrants and refugees by many political candidates only widen divisions. Globally, the signs of man-made climate disaster are everywhere. Extremes in weather patterns, intense killer storms can no longer be ignored. The world is in a state of perpetual war with the U.S. leading the way in creating chaos and what the CIA calls “Blowback” – growing hatred and violence in response to U.S. policies of violence –regime change, bombings, drone killings, etc. in a growing number of countries. The U.S. is a global empire: the most heavily armed country in the world and the world’s biggest exporter of weapons. The U.S. exports roughly half of all weapons shipped around the world. A Congressional Research report and a N.Y. Times article about the report says: “Every region of the globe has the same top weapons source: the United States. Three-quarters of U.S. weapons shipments are to the Middle East. Top recipients of U.S. weapons include: Saudi Arabia, Iraq, U.A.E., Israel, Kuwait, Oman, and Egypt. The human-rights respecting liberal democracies among top recipients of U.S. weapons include … no nations whatsoever.” http://www.nytimes.com/2015/12/26/world/middleeast/us-foreign-arms-deals-increased-nearly-10-billion-in-2014.html?